Unions at Air France have called for a four-day strike by flight attendants at the end of July, raising the threat of travel disruption over a peak holiday period. 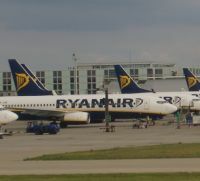 Scheduled for 29, 30, 31 July and 1 August, the protest is against a re-organisation of the cabin staff’s work at the regional hubs that Air France is setting up to counter competition from low-cost airlines. 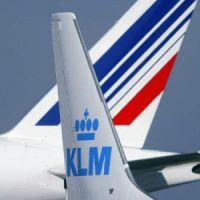 Air France plans to start operating connecting flights in October at its first provincial hub, in Marseille, as part of efforts to regain market share on short and medium haul flights. 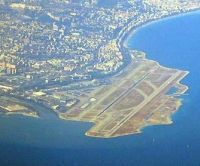 The airline says that the opening of three further regional hubs – in Bordeaux, Nice and Toulouse, due by spring 2012 – should cut costs by 15% and allow for new routes to be opened toward destinations in France and Europe. Struggling Narita Airport, 40 miles from Tokyo, is probably the biggest winner with a plan announced last week for the establishment of AirAsia Japan. This is subject to obtaining the relevant approvals. Operating under the AirAsia brand, it is to serve both domestic and international destinations when commencing operations in August 2012. It will be the first low-cost carrier to be based at Narita International Airport which is suffering from the opening up of Haneda, Tokyo’s main (and virtually downtown) airport, to international flights. ANA has been seeking opportunities to launch a new low-cost business based at Narita and, after analysis, has concluded that partnering with an existing low-cost carrier is the most efficient and strategically advantageous option. Whilst the Competition Commission has been deeply involved with the British airport situation it has also been called upon to look at the high street travel outlets. 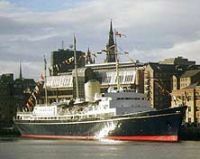 Last week the body provisionally approved the link-up of Thomas Cook with the Co-operative Group and Midlands Co-operative Society, a gathering of associated interests rather than a break-up. 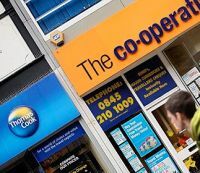 Thomas Cook itself currently operates 780 stores across the country, while the Co-op has 360 travel shops and the Midlands 100. Once finalised, the deal will bring together three of the biggest travel agents presently operating in the UK. Thomas Cook will contribute its retail travel agency business to the joint venture but not its tour operating business or its internet travel agency businesses. The equity split will be 70%/30% in Thomas Cook’s favour. The deal will also create the second biggest high street foreign exchange business after the Post Office. A new queuing time tracking method has been adopted at Helsinki Airport. Beginning in August, passengers can keep track of certain security control queue times on monitors. The scheme is currently in the testing phase, but by the end of next month passengers will be able to see just how long the queues are. The plan is to eventually display all security control checkpoint queuing times on monitors. This will allow, for example, busy passengers to decide whether it would be better to move to another security control checkpoint. The tracking method is based on Bluetooth technology. Sensors that pick up Bluetooth signals from passenger mobile devices are located near security control checkpoints. When a passenger passes through security control, the system calculates the time taken to queue and be served based on time stamps registered by the sensors. The airport encourages passengers to leave their Bluetooth function on, so that the sensors can gather enough data, thus making it possible to display the average queuing time. 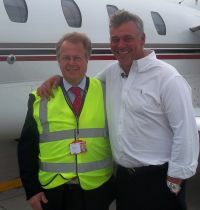 Newly crowned Open Champion 2011 Darren Clarke, was one of the last to fly out from Manston last Monday (19 July), heading back home to Belfast to continue the celebrations after his victory at the nearby Royal St George’s golf course in Sandwich. His departure from the Kent airport, near Ramsgate, marked what the management believe has been the busiest weeks in terms of traffic for many years. The airport handled 74 golf related aircraft movements as part of the visit of the Open. China is definitely in sharp focus with Sheraton, the brand’s owner Starwood relocating for one month its global headquarters to Shanghai. 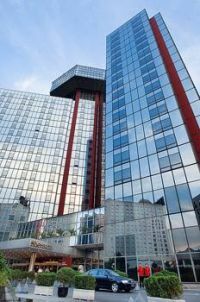 During this period Sheraton will inaugurate seven properties in China its second hotel in Beijing, its second in Xian, and its first in Chongqing, Yantai, Guangzhou, Zhenjiang, Wanning and Hangzhou. 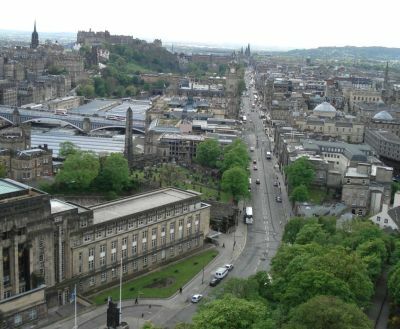 Following the AERBT editorial last Monday, the Competition Commission (CC) confirmed the next day that BAA must sell London’s Stansted Airport, and either Edinburgh or Glasgow in Scotland. This confirms the CC’s earlier provisional view, which was published in March. The sales process will start in three months’ time – or sooner if undertakings are accepted from BAA in the meantime. 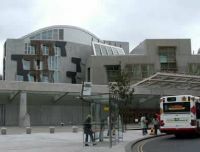 The CC has been considering whether there have been any material changes in circumstances since it published its final report on BAA in March 2009. The decision was subject to a legal challenge by BAA, which eventually culminated in the reinstating of the CC’s findings in October 2010. In February, the Supreme Court refused BAA permission to appeal further. 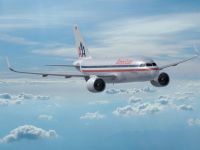 It should have been one of the most interesting aircraft orders in recent times, last week’s announcement by American Airlines that it was ordering 100 CFM56-7B-powered Next-Generation 737s, with options for an additional 40. Included in the statement was an admission by Boeing that a version of the aircraft would also be available with CFM International’s LEAP-X engine, a ‘plane not yet made public and that American would take up to 160. The new Boeing is reported to be named the 737RE (for re-engined). The fly in the ointment as far as Boeing is concerned was the declaration by American that it was ending its all-Boeing policy and adding no less than 260 Airbus A320 series aircraft, of which 130 would be of the new Neo variant probably with the same LEAP-X engine as the 737. Since launching the innovative product in December of last year, Airbus has received orders and commitments for almost 1,200 A320neo Family aircraft. 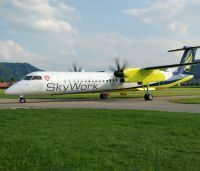 Following the successful introduction of a daily flight between London City Airport and the Swiss capital of Bern, SkyWork Airlines has confirmed that the service will go double daily from 5 September. Initially flown with a 31-seat Dornier 328 turboprop, the route quickly warranted upgrading to the Bombardier Q400 with 70 seats. The airline has now added a second Bombardier, which is being used on flights between Bern and Mallorca. A third aircraft will join the fleet just prior to the London service doubling up. “London City – Bern has become a star performer in our route network,” said Tomislav Lang, SkyWork Airlines’ CEO, adding “we are very much looking forward to building on that success by offering morning and evening departures, affording the business traveller a full day in the cities of Bern and London.” He said that the airline expected to pick up skiing business later in the year. Adapted Vehicle Hire (AVH), the largest supplier of adapted cars and wheelchair accessible vehicles in the UK, has joined forces with Europcar to help disabled motorists and their carers stay mobile. Visitors to the Europcar website will have access to AVH’s fleet of specialist adapted and wheelchair accessible vehicles. Delivering rental vehicles across the country, AVH operates a range of cars which are fitted with very specific adaptations to suit each customer's needs. 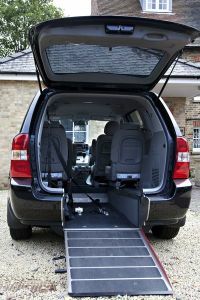 The company also offers a large and varied fleet of wheelchair accessible vehicles. Baku, the capital of the former Soviet Republic of Azerbaijan, welcomed 5-star Kempinski Hotel group in style with President Ilham Aliyev as Guest of Honour. The all-new Kempinski Hotel Badamdar is the centre piece of a 5,000sqm entertainment and retail centre, with three levels of shopping space and one level dedicated to leisure facilities, including bowling, billiards and an ice-skating rink, as well as a wide range of restaurants and bars. Just a short drive from Baku international airport, the 14-storey hotel features 283 beautifully designed rooms and suites, boasting spectacular panoramic views of the city. 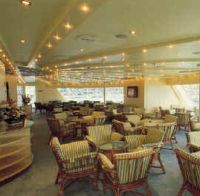 Hotel guests will also be spoiled for choice with three restaurants offering a wide range of international and local cuisine, and two bars. Also offered are 37 luxurious serviced apartments. bmi, British Midland International, the second largest airline at Heathrow, is to return to Nice, the French Rivera’s major airport, from 25 August 2011. Initially the flights will be daily but will double up from the start of the winter season commencing 29 October. A full Business Class service, including hot meals and a fully stocked bar service will be served on all flights. 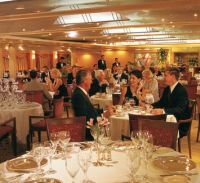 Currently Nice is served by British Airways from both London City and Heathrow, and also easyJet from Gatwick, Luton and Stansted. 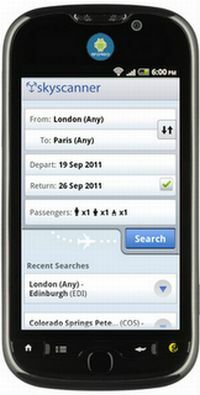 As first reported in AERBT back in June, Skyscanner’s hugely successful ‘All flights, everywhere’ iPhone app (v2) is now available for competing Android phone users. Available in 23 languages and over 50 currencies, the app compares over 600 airlines and thousands of routes in seconds. The free app, which was launched in its initial version earlier this year to critical acclaim, generated over 100,000 downloads within the first week. Skyscanner hopes to replicate this success with the launch of this new version. A new 21,000sqm terminal, named after the singer Mercedes Sosa who died in 2009, has opened at Buenos Aires. 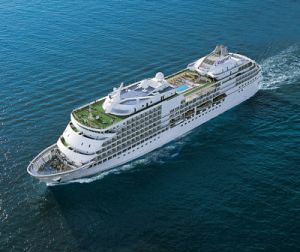 It has eight boarding bridges, 12 border control stations and additional baggage screening areas. 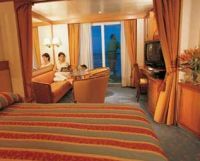 Ezeiza International Airport (EZE) will be joined by a new 4-star hotel in late 2012/early 2013. For the future a direct rail link to the downtown part of the city is planned. Speaking at the opening ceremony, Argentinean President, Cristina Fernández de Kirchner, claimed that her country had a “wonderful new facility”. 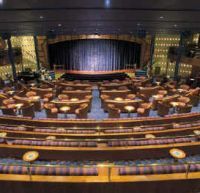 She added: “I believe that it is a facility that Argentines and our international visitors will enjoy. It is an impressive building that will also help the airport cope with future demand. With Heathrow virtually banning executive jets and the like, Amsterdam Schiphol-East has opened a new 6,000sqm general aviation terminal to cater for the 4,500 private and business flights that the airport handles each year. It is a multi-functional building, with both handling areas and offices. Embraer E Jet number 13 has arrived at London City (LCY), a 98-seat two-class EMB190. 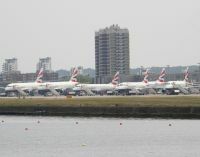 Operator British Airways now has seven of the highly successful Brazilian built regional jets based at the Docklands airport, and also six 70-seat 170s. 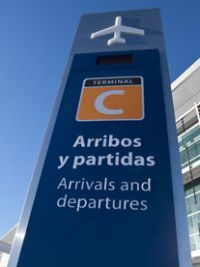 It will operate on all the airline’s European routes from LCY, including new services to Malaga and Faro which began last month. 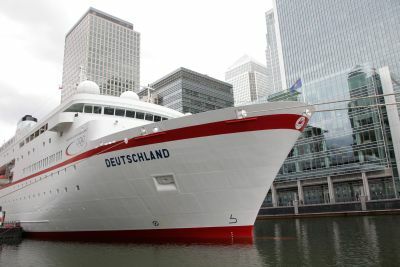 The arrival coincided with publication of the BA subsidiary's June figures. For the first time the carrier has exceeded 100,000 passengers in a month. The airport itself is on the way to breaking 3m passengers for the year. Luke Hayhoe, BA CityFlyer General Manager Commercial said: “We are delighted with the response we have had to the new aircraft fleet, our customer feedback is the highest it’s ever been in terms of comfort and service on board the aircraft. The fact customers are so positive is obviously reflected in the fantastic passenger numbers we’ve had for June. 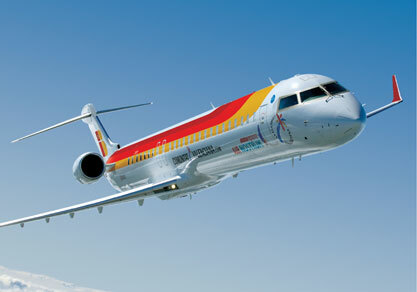 Spanish regional airline Air Nostrum confirmed it will introduce non-stop twice weekly flights to Madrid from From Glasgow from Tuesday 1 November 2011. Currently there are no non-stop flights to the Spanish capital, only via Heathrow, or from Edinburgh. Air Nostrum is an independent franchisee partner of Iberia. 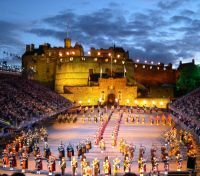 The route is expected to prove popular with both business and leisure travellers. A two-class Bombardier CRJ is expected to be used for the flights. With the summer holiday rush starting, Liverpool John Lennon Airport (JLA) has unveiled the final piece of its £12m redevelopment which has been ongoing for the past 18 months. Last week the new Estuary Kitchen and Grill opened in the departure lounge, following hot on the heels of the opening of a Starbucks coffee outlet close to the Airport Information Desk and the addition of famous high street sportswear giant JD Sports nearby. Following comments by the general aviation community on the harsh flying restrictions suggested by the Department for Transport (DfT) during the period of next year’s London Olympic Games, the Government has made some concessions. 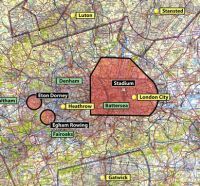 The full airspace restrictions covering the London 2012 has been reduced and will now only involve the Olympic period from 14 July to 15 August 2012. 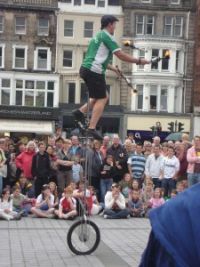 Separate, geographically smaller, airspace restrictions will now cover the London 2012 Paralympic Games from 16 August 2012 to 12 September 2012. Special rules are being brought in to cover the Farnborough Air Show which directly precedes the actual games. Likewise the small airfields at White Waltham, Denham, Fairoaks and the London Heliport at Battersea will be under special arrangements. This also covers the gliding sites at Lasham and Parham plus Elstree in North London. 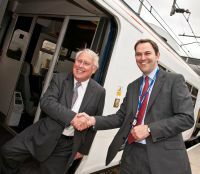 It is not quite official yet as there is to be a grand opening, but passengers to and from Southend Airport can now catch a train to and from London’s Liverpool Street station, and others on the East London network. Minister for the Thames Gateway, Bob Neill MP, was amongst the first to use the service, at the airport to open the all-new state-of-the-art air traffic control tower.